The microinfluencers, who have followers ranging from a few hundred to thousands, are used to recommend products and write reviews for Amazon's own products and external products. Since making its desire to move into advertising known in 2017, Amazon has made significant advancements. 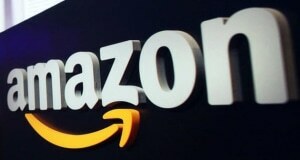 A recent report by US investment research group Cowen found advertisers expect to double their ad expenditure on Amazon by 2020. It surveyed 50 senior US ad buyers, who represent nearly US$14 billion in US ad spend and found they expect Amazon's share of their digital ad budget to double from 6% in 2018 to 12% by 2020. Amazon's free sample offer is a great idea for brands and is a strategy that would work well in Australia, according to agency boss Robert Cain. Speaking to AdNews on the marketing stunt, Cain, who has 25 years of experience in retail and now works at digital commerce agency Overdose, said it was a smart move from the e-commerce giant. The push, out of the US, allows brands to send free product samples to customers based on their user experience. Amazon declined to comment on exactly what data it uses to select customers but a Twitter post suggests it could be sending samples of products already in your shopping cart. Customers aren't required to sign-up to the service but can opt out any time. “It's a fantastic idea. All it's trying to do is remove resistance from purchasing products online,” Cain said. While AdNews understands the service is not available in Australia, Cain hopes to see the service brought here soon. “Amazon's messaging is to be consistent across the globe, so I would expect it to come to Australia,” Cain said. “They'll be able to commercialise it because brands would love to be able to send free samples,” Cain said. Cain also added it would be interesting to see whether such a service here would push more Australians to shop online for groceries, saying it will open up a new marketing strategy for them. The push by Amazon could be a game-changer for advertisers as it takes the guesswork out of targeting people. Last week it was revealed Amazon has also been quietly reworking its marketing strategy by recruiting more microinfluencers.